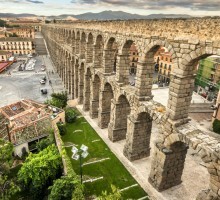 Activity: Panoramic tour through the city of Segovia. 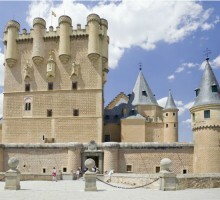 Services: Round-trip train ticket, welcome by our local guide in Segovia station and guided tour. Departure: Date to be chosen by the customer. Time: To be confirm. Starting point: Station Segovia AVE – Guiomar. Conditions: Book at least 24 h. advance. Languages​​: Spanish, English, French, German, Italian and Portuguese. Segovia, located at the north of the Community of Madrid, is defined by its Roman and Medieval monuments and for its exquisite food. 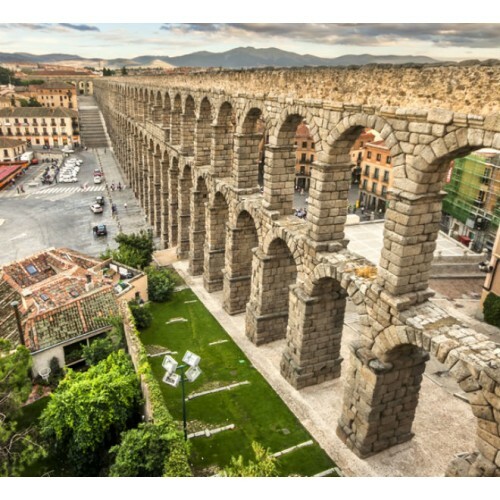 It is known primarily for its ROMAN AQUEDUCT, one of the ROMAN ENGINEERING WORKS most perfect and best preserved in the world, and for its typical CUISINE based on roast pork and lamb. 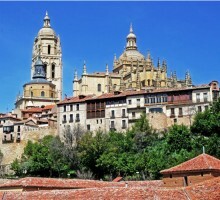 - The Cathedral: Is the last Gothic structure built in Spain. Consisting of a spacious interior, elegant arches and stained glass windows and covered for more than 20 beautiful chapels. - House of the Picos: mansion located inside the wall, whose facade is adorned with diamond-shaped stones. - The Alcazar: Uncertain origin, is composed of luxurious rooms, decorated with beautiful friezes, rich woodwork and exotic tile. Your private guide will meet you at Segovia train station, with a sign with your name, in order to start the guided tour during aprox. 3h, touring the most important sites of historical and cultural interest. After the guided tour, free time. Please, check carefully the returning time of your train tickets. - Transport from your hotel / accommodation to Chamartin train station is not included. 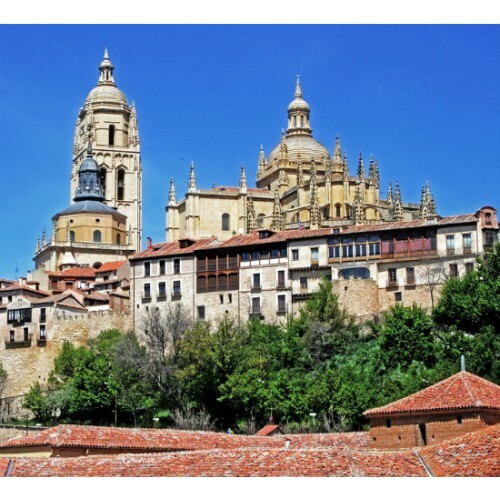 - Transport from Segovia city center to the train station is not included. - Train departures depends on the day (at 09:25 am approx.). Please, check carefully your train tickets. Reccommended to be in Chamartin train station half an hour before the train departure. 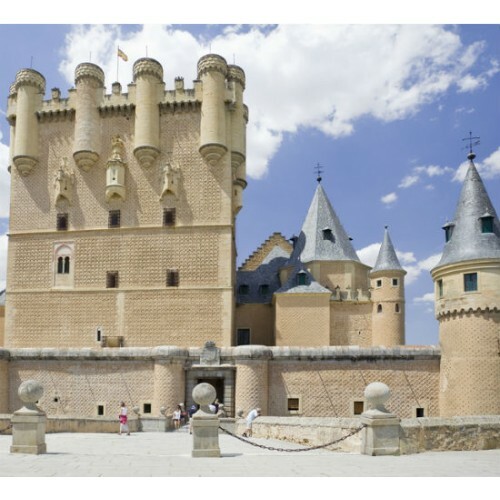 - A private guide will meet you at Segovia AVE train station holding a sign with your name.